5.Fresh, brief ,healthy are our cups special feature different with other cups. Easy to carry out,It is not heavy to carry. Animal Beautiful appearance. It is durable Mini size (320ml) and light weight (234g) sweet shape for babies or girls. Features: BPA-free,leakproof, condensation proof, insulated, thermal, twist off lid, stain-resistant.with smooth cup mouth,this thermos not only can keep hot,but also can keep cold,in summer you can drink ice coffee or juice,suit for outdoor or travel.Best gift as choose! 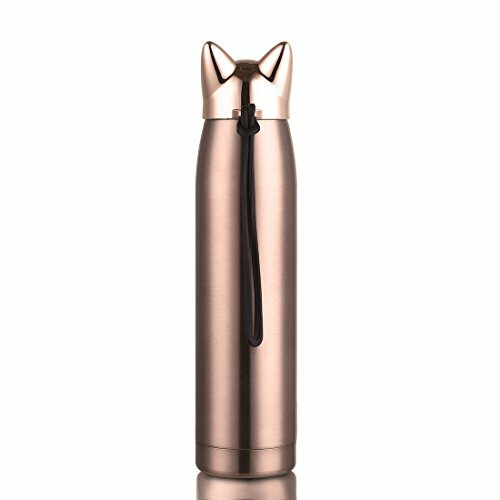 Vacuum flask,304 stainless steel inner,avoid of unhealthful chemical substances when using under high temperature.you can bring this mug to everywhere to enjoy drinking,fashion and cute design,student and girls will like it. If you have any questions about this product by HOLD U FUN, contact us by completing and submitting the form below. If you are looking for a specif part number, please include it with your message.